A fruit cheese is simply a solid, sliceable preserve - and the princely quince, with its exquisite scent and delicately grainy texture, makes the most majestic one of all. It can be potted in small moulds to turn out, slice and eat with cheese. Alternatively, you can pour it into shallow trays to set, then cut it into cubes, coat with sugar and serve as a sweetmeat. Wash the quince. Roughly chop the fruit but don't peel or core them. Place in a large pan and barely cover with water. Bring to a simmer and cook until soft and pulpy, adding a little more water if necessary. Leave to stand for several hours. Rub the contents of the pan through a sieve or pass through a mouli. Weigh the pulp and return it to the cleaned-out pan, adding an equal weight of sugar. Bring gently to the boil, stirring until the sugar has dissolved, then simmer gently, stirring frequently, for an hour and a bit until really thick and glossy. It may bubble and spit like a volcano, so do take care. The mixture is ready when it is so thick that you can scrape a spoon through it and see the base of the pan for a couple of seconds before the mixture oozes together again. If you're using small dishes or straight-sided jars, brush them with a little glycerine. This will make it easy to turn out the cheese. If you're using a shallow baking tray or similar, line it with greaseproof paper, allowing plenty of overhang to wrap the finished cheese. When the cheese is cooked, pour it into the prepared moulds or jars. To seal open moulds, pour melted food-grade paraffin wax over the hot fruit cheese. Jars can be sealed with lids. Cheese set in a shallow tray should be covered with greaseproof paper and kept in the fridge. 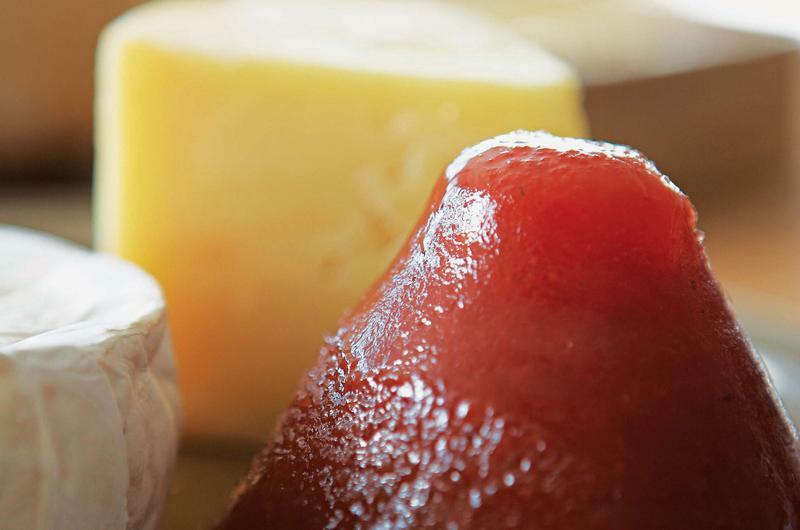 For optimum flavour, allow the quince cheese to mature for 4–6 weeks before using. Eat within 12 months. A little roughly chopped quince cheese adds a delicious fruity note to lamb stews or tagines or try combining it with chopped apple for a pie or crumble.